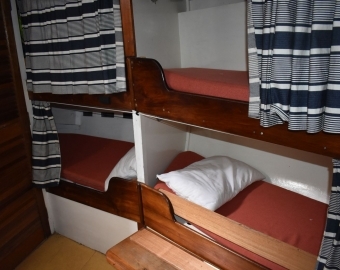 If you are struggling to find reasonable accommodation during the Wooden Boat Festival you can stay onboard the Lady Nelson. 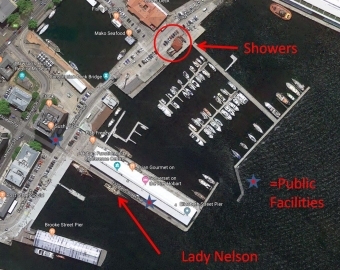 The Lady Nelson will be berthed at Elizabeth street pier, right in the centre of all the attractions, bars restuarand - basically the action. 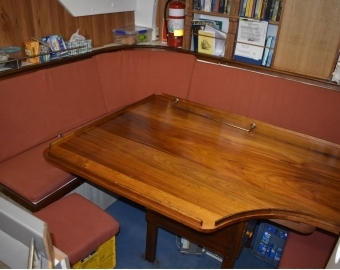 This accommodation will suit people who like and are used to being on boats with other people. You will not only be located in a prime position but will be supporting the Lady Nelson. 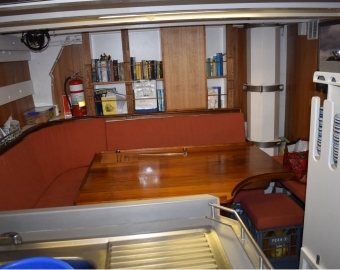 This accommodation will be ideal for those who have travelled to Hobart on one of the other Tall Ships or other vessels. Accommodation will be available from when we get in after the parade of sail on Friday Afternoon. There are 3 compartments but you will be sharing with other people. Please bring a towel and a sleeping bag, we will supply pillows and pillow cases. Tea and coffee will be available and you can keep your supplies in the Fridge. However, cooking will be unavailable. We imagine people will continental breakfast in and eat out at other times. The ship will be open from about 1000 to 1600 and we will be undertaking some short sail during the day - you will be off enjoying the festival anyway. 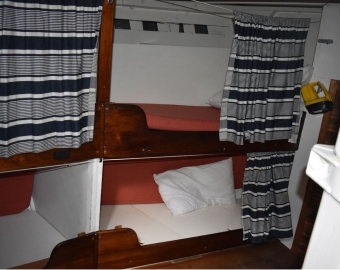 Staying onboard will give you a 30% discount on any sail we do (providing there are vacancies). 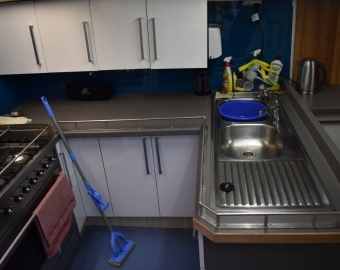 We do have showers and toilets onboard but ask that you shower at the marina facilities and during the day use the many public toilets around the waterfront. 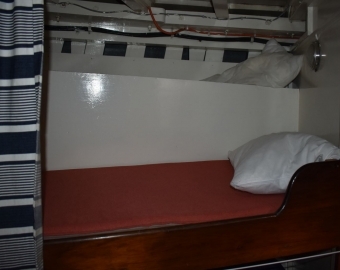 You will be able to use shipboard toilets during the night.